Comments Off on Arrest and Custody. Assistant Professor, LC-I, Faculty of Law, University of Delhi, Delhi. In the case of State of Haryana vs. Dinesh Kumar (2008) Supreme Court observed, “The expression arrest has neither been defined in the Code of Criminal Procedure nor in the Indian Penal Code or any other enactment dealing with criminal offences. The only indication as to what would constitute arrest may perhaps be found in Section 46 of the Code.” The word ‘arrest’ is derived from the French ‘Arreter’ meaning ‘to stop or stay’ and signifies a restraint of the person. According to the Shorter Oxford English Dictionary, arrest means the apprehending of one’s person, in order to be forthcoming to answer an alleged or suspected crime. According to Bouvier’s Law Dictionary arrest means to deprive a person of his liberty by legal authority. Bench: K Natarajan, S Kader, SR Pandian. Judgment was written by SR Pandian. (ii) Touching the body of a woman. (i) Oral Submission – According to Section 46(1) Provided here submission to custody on an oral intimation of arrest shall be presumed. No need to touch the body. (ii) Touching the body of woman – In special circumstances, she may be physically touched and confined. (1) Arrest by a woman – Rule is that arrest of woman can be arrested by woman. In the night (after sunset and before sunrise) she cannot be arrested. In special circumstances, she can be arrested by woman police officer by making written report to Judicial Magistrate, First Class and with prior permission of this court. (2) Arrest by a man –Section 46 (4) contents, ‘Save in exceptional circumstances’. It denotes that in special circumstances priority must be given to prevent crime rather than fulfilling procedure. For example, a lady after stealing a baby started to run away in night from hospital and only male police officer are available, in these circumstances, she will be arrested by male police officer and it is justified on the basis of ‘Save in exceptional circumstances’ contents in section 46(4). Another example – Suppose a lady terrorist started to fire on the mob. In this circumstances, male police officer may arrest. He will not wait for woman police officer. (2) Should actually confine the body of the person to be arrested. Both terms are not synonymous to each other. All custodies are not arrest. All arrests include custody. Custody includes preservation Custody becomes arrest when person is taken into custody for replying some charges. Under section 107 and 108 of Custom Act was not arrest. What constitutes arrest and custody in criminal law? This question was thoroughly discussed by Supreme Court in case of State of Haryana v. Dinesh Kumar (2008). This question was also discussed by Madras High Court in RoshanBeevi and Ors. vs. Joint Secretary to Government of Tamil Nadu(Nov. 9, 1983). Column 13(A): Have you ever been arrested?Reply of Dinesh Kumar – No. Column 14: Have you ever been convicted by the Court of any offence?Reply of Dinesh Kumar – No. Dinesh Kumar Case –It was found that case was registered against him and his family members under section 323, 324 r/w section 34 in 1994 and ultimately he was acquitted in 1998. He was selected but he was not appointed. The appeal filed by the respondent was rejected by the Director General of Police, Haryana, by his order dated 18th November, 2005. Reason was given that he did not disclose about his arrest. Writ Petition (First) – Dinesh Kumar filed Civil Writ Petition before Punjab and Haryana High Court in 2006. Argument of Dinesh Kumar – Dinesh Kumar argued that in connection with the aforesaid FIR, he had been granted bail on 17th October, 1994 without having been arrested. It was, therefore, contended on his behalf that since he had not been actually arrested and the case against him has ended in acquittal, it must be deemed that no case had ever been filed against him and hence he had not suppressed any information by replying in the negative to the questions contained in columns 13(A) and 14. Dinesh had not surrendered to the police but had voluntarily appeared before the Magistrate and had prayed for bail and was released on bail, so that as per his understanding, at no point of time was he taken into custody or arrested. (1) Dinesh Kumar had been acquitted by lower court. (2)He had been granted bail without arrest. Writ Petition (Second) –Lalit Kumar and Bhupinder filed writ petition in same Court. In the said matter the appellants had been involved in a criminal case for offences punishable under Sections 148/149/307/325/323 of the Indian Penal Code. Appellant appeared before the Ilaka Magistrate on 7th June, 2002, and were released on their personal bonds without being placed under arrest or being taken into custody. Later on they had been subsequently acquitted of the said charges. On behalf of the State, the same stand was taken that the aforesaid piece of information had been withheld by the writ petitioners while filling column 14 of the application form. The High Court was of the view that since the writ petitioners had withheld important information it clearly disentitled them to appointment, as it revealed that they could not be trusted to perform their duties honestly. The High Court, accordingly, dismissed the writ petitions as being without merit. Common Question in both appeals – Whether the manner in which they had appeared before the Magistrate and had been released without being taken into formal custody could amount to arrest for the purpose of the query in Column 13A. (1) No definition of arrest and custody under the statute- The expression arrest or custody has neither been defined in the Code of Criminal Procedure nor in the Indian Penal Code or any other enactment dealing with criminal offences. (2) Section 46 – The only indication as to what would constitute arrest may perhaps be found in Section 46 of the Code. Sub-sections (1) and (2) of Section 46 of the Code from which this much is clear that in order to make an arrest the police officer or other person making the same shall actually touch or confine the body of the person to be arrested, unless there be submission to the custody by word or action. (3) RoshanBeevi Case and Niranjan Singh vs. Prabhakar Raja Ram (1980 Justice Krishnaiyer)– In this case, Supreme Court rejected the ratio of Roshan Case and accepted the ratio of Niranjan Singh Case. Supreme Court said that the interpretation of arrest and custody rendered by the Full Bench in RoshanBeevi case may be relevant in the context of Sections 107 and 108 of the Customs Act where summons in respect of an enquiry may amount to custody but not to arrest, but such custody could subsequently materialize into arrest. 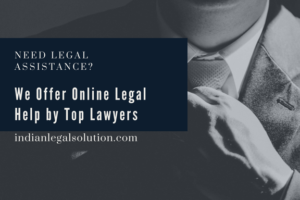 The position is different as far as proceedings in the court are concerned in relation to enquiry into offences under the Indian Penal Code and other criminal enactments. In the latter set of cases, in order to obtain the benefit of bail an accused has to surrender to the custody of the Court or the police authorities before he can be granted the benefit thereunder. Roshan Case For the purpose of proceeding under section 107 and 108 of Custom ActRoshan Case is correct. For the purpose of proceeding of Court, Roshan Case is incorrect. Niranjan Singh In Niranjan Singh Case section 107 and 108 of Custom Act were not discussed. Niranjan Singh case is correct. A person can be stated to be in judicial custody when he surrenders before the court and submits to its directions. High Court in Dinesh Case High Court was wrong by saying that it was not arrest. Remedy Remedy was given to all i.e. Dinesh, Lalit and Bhupinder on the basis that all of them were innocent. As a layman they were right. In Roshan Case validity of Kaiser Case was challenged. So it is necessary to know Kaiser Case. Facts of Kaiser Case – In Kaiser Singh Case person was taken into custody on 15 January 1981 and produced before Magistrate on 18 January 1981 i.e. after 70 hours. The victim was saying that he was arrested on 15 Jan. while customs officers was saying that although he was in custody since 15 Jan. but he disclosed the information so he was arrested on 18 Jan. and produced before Magistrate within 24 hours as per article 22 of the Constitution of India. In this case the Court that he was arrested on 15 January and he was produced before Magistrate in violation of Article 22. Criminal Law does not require any formality. Both terms are not synonymous to each other. All custodies are not arrest. All arrests includes custody. This judgment was delivered in the context of Sections 107 and 108 of the Customs Act, 1962. These sections authorize a Customs Officer empowered in that behalf to require a person to attend before him and produce or deliver documents relevant to the enquiry or to summon such person whose attendance is considered necessary for giving evidence or production of a document in connection with any enquiry being undertaken by such officer under the Act. It was said that sections 107 and 108 are analogous to section 160 of Cr.P.C. and any person comes in compliance of these provisions, such custody will not come under the category arrest. (1) There must be custody, (2) There must be an intention to arrest under the authority, (3)There must be seizure or detention of the person in the manner known to law. (4)Purpose of taking into custody and seizure is to answer a criminal charge or of preventing the commission of a criminal offence. Custody and arrest are not synonymous terms and observed that it is true that in every arrest there is custody but not vice-versa. Custody may amount to arrest in certain cases, but not in all cases. It is in the aforesaid circumstances that the Full Bench came to the conclusion that a person who is taken by the Customs Officer either for the purpose of enquiry or interrogation or investigation cannot be held to have come into the custody and detention of the Customs Officer and he cannot be deemed to have been arrested from the moment he was taken into custody. Custody, in the context of section 439 (Rather than for the purpose of section 438) is physical control or at least physical presence of the accused in court coupled with submission to the jurisdiction and orders of the court. He can be in custody not merely when the police arrest him, produces him before a Magistrate and gets a remand to judicial or other custody. He can be stated to be in judicial custody when he surrenders before the court and submits to its directions. (4) Section 107 and 108 – Sections 107 and 108 of the Customs Act do not contemplate immediate arrest of a person being summoned in connection with an enquiry, but only contemplates surrendering to the custody of the Customs Officer which could subsequently lead to arrest and detention. (5) Judgment of High Court in respect of Dinesh Kumar was wrong – High Court’sinterpretation in Dinesh Kumar case was wrong. (6) Halsbury’sLaws of England and section 46 of Cr.P.C. –According toHalsbury’sLaws of England meaning of arrest means arrest consists in the seizure or touching of a person‘s body with a view to his restraint; words may, however, amount to an arrest if, in the circumstances of the case, they are calculated to bring, and do bring, to a person‘s notice that he is under compulsion and he thereafter submits to the compulsion. This definition is similar in spirit to what is incorporated in Section 46 of Cr.P.C. This definition was accepted in this case. Supreme Court held that the views expressed by the High Court in Dinesh Kumar‘s writ petition regarding arrest were incorrect, while the views expressed in the writ petitions filed by Lalit Kumar and Bhupinder correctly interpreted the meaning of the expressions arrest and custody. (9) Layman- Supreme Court granted the remedy to Dinesh Kumar, Lalit and Bhupinder on the ground that as a layman they rightly observed that they had not been arrested. Conclusion – The position would have been different, had the person concerned not been released on bail. Benefit was given because they did in good faith. Note – If a person directly surrenders before Court there is custody. But I cannot understand how it was an arrest? If it was arrest who has arrested? Supreme Court failed to reply these answers. Bench: K Natarajan, S Kader, S R Pandian. Judgment was written by S R Pandian.